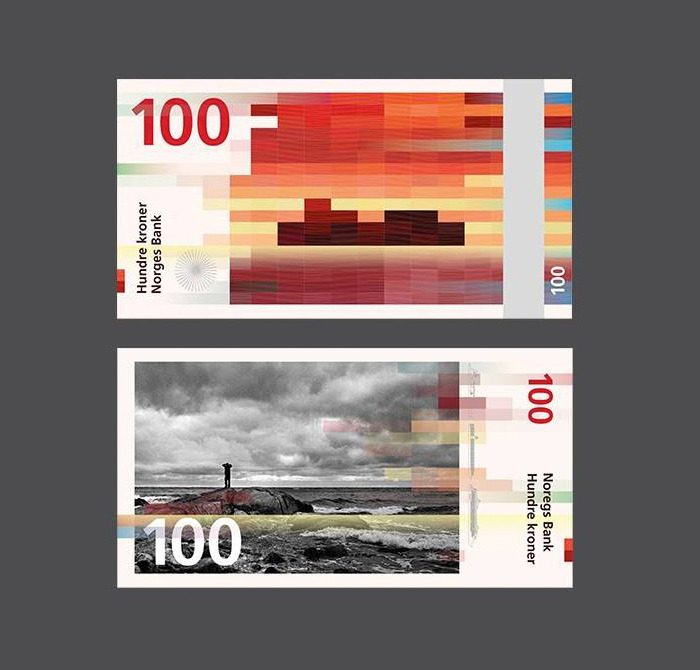 The combination of abstract art and photography is something you just don’t see on your average banknotes. It has a very modern feel to it and is very simplistic. The orderly forms, combined with simple text, and black&white photography. It also has a great color scheme.